While our list of the top ten games of the year is a collaborative effort, there are always some casualties. Our Honorable Mentions offer each staff member a chance to highlight some of their other personal favorite games of 2016 that simply didn't make the cut. We're wrapping up GOTY 2016 this week, so stay tuned on Facebook and Twitter to make sure you don't miss a thing! I say this very year, but: I played a whole lot of games in 2016. Unfortunately, given the way our site operates as a hobby-driven, spare-time-powered operation, we’re not exactly swimming in time or money to devote to games, so we all end up having to make some tough decisions about how much risk we’re willing to take on a game that may end up being a disappointment. Each is a little esoteric, but I find that often means that when those games resonate with you, they do so powerfully. This was the year that VR entered my world and changed the way I think about interaction and game design. The first game that left my jaw hanging open this year was Eve Valkyrie. While at its core it’s a better-than-average, team-based dogfighting multiplayer game, what really struck me is the atmosphere this game evokes. Whether it’s the first-person menus where your player’s avatar is sitting on some weapons crates in an open, echoing hangar or the pre-flight squad loadout screen with the strategic map floating holographically in front of you, Eve Valkyrie evokes a powerful and consistent sense of place in its spacefaring future. But the moment that really floored me — the one where my faith in VR’s capability was vindicated — was the first launch sequence within the cockpit of my starfighter. The richly detailed ship cockpit lit up slowly and sequentially as my engine roared to life and my systems came online, and then — with perfect timing — the ship lurched forward. Fast. I was flying forward through the launch bay, hangar lights blinking past me as I flew forward at hundreds of miles an hour, and then — almost jarringly — I was in space, and everything went quiet. Just the vast expanse of asteroids and stars and the galaxy around me, and total freedom to look wherever I wanted. I could lean forward in my chair and examine my instruments, look up through the cockpit (like a sunroof!) and study the ships flying in concert with me, or follow Peppy’s sage advice and do a barrel roll. I felt a degree of freedom and a sense of presence in a way I never had in a game before. It’s no exaggeration to say that the moment felt profound and mind-expanding to me. This is what VR is capable of: evoking a sense of being somewhere; suspending disbelief; bringing you somewhere new; allowing you to be someone new. Eve Valkyrie gets us there by giving us the familiar video-game premise of shooting at enemy spacecraft, but it’s that quiet moment of being somewhere else — of seeing the limitless potential of first-person exploration in virtual spaces — that truly gave me the most profound experience of 2016. Drinkbox is low-key my favorite new studio. I devoured every single bit of Guacamelee, the luchavania action/exploration game steeped in a bold Mexican luchador aesthetic, and was eagerly awaiting whatever they decided to work on next. 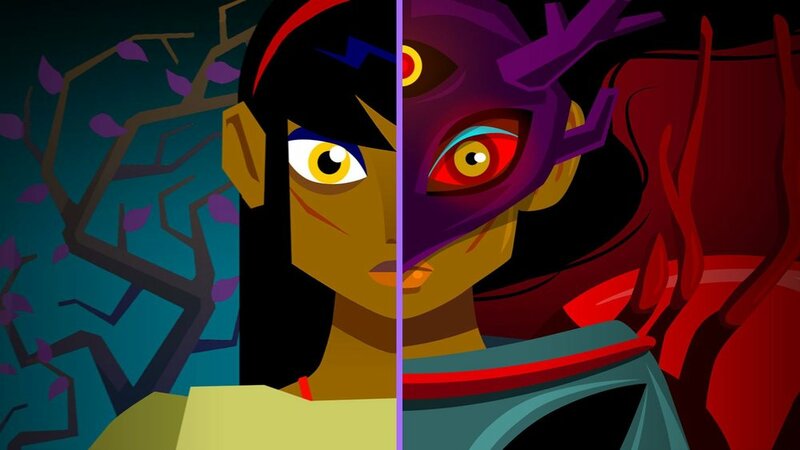 Severed takes everything that Guacamelee did well — its art design, its sense of fluidity, its challenging and robust gameplay systems — and applies it to the first-person RPG genre. What you get is something between Ultima Underworld and Fruit Ninja, where you’re exploring some sort of monster-filled netherworld in search of your missing family while hacking and slashing your way through an army of monsters and demons. This game is yet another reminder of why I love my Vita so much and why its lack of commercial success pains me to this day. Between the game’s vibrant color palette, which shines on the handheld’s OLED screen, and its clever use of the touchscreen for combat and puzzle solving, Severed is clearly a game that was built from the ground up to thrive on Sony’s portable. Fortunately, if you’re not among the dozens of us who own Vitas, you can also download the full game on the cheap for your iPhone. Severed is a tantalizingly weird and ultimately harrowing tale that’s beautifully told, and it packs a ton of exploration-driven joy and frenzied combat into the full package. It’s the most stylish game I’ve played all year, and I hope you’ll go seek it out. I never expected I’d get a conclusion to this series. 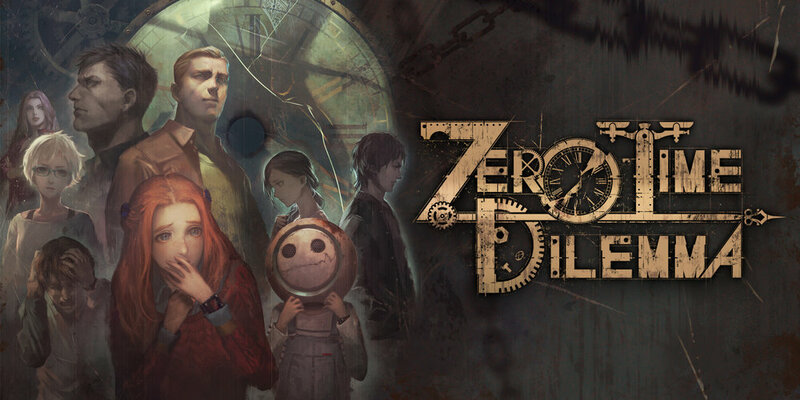 A third and final Zero Escape was anything but guaranteed; the series hadn’t sold particularly well, and Spike Chunsoft seemed much more willing to shift resources toward its Danganronpa series (which is also great, but hey, it’s not Zero Escape.) Fortunately, the fan community banded together to form Operation Bluebird, an effort to demonstrate enthusiasm for a conclusion to the trilogy. Apparently it worked, and director Kotaro Uchikoshi was able to conclude the winding, mind-bending storyline that began back on the Nintendo DS. Zero Time Dilemma isn’t the strongest game in the series — that honor goes to Virtue’s Last Reward — but it’s damn clever in its own right and it delivers a conclusion that feels appropriate for the series. After spending so many years thinking about the convoluted storyline that this game spans (with roughly 200 years of history to keep track of!) it was a delight (and maybe also a bit of a relief?) to see this game bring all the disparate story threads to a single conclusion. If you appreciate mind-bending science fiction, strong characterization and engrossing stories, the Zero Escape trilogy is the best game series I can possibly recommend. And fortunately for newcomers, the whole trilogy’s being repackaged for release on PlayStation 4, Vita and PC this year. I hope you’ll take the plunge — this is an original story that sticks with you for a very long time. I’ve played every game in the Hitman series, but none of them has worked quite like this latest one. Its episodic structure, extensive list of clever challenges and brilliant use of gameplay modifiers/loadout selections take what has always been an intricate and methodical strategic action game and turns it into a brilliant and highly replayable sandbox. I like to think of this Hitman as the Metal Gear Solid V of the Hitman series — it tosses out a lot of the older, tired conventions in order to deliver a brilliant and endlessly fascinating sandbox. Even if you’ve been turned off by previous Hitman games, this latest one is a truly modern and brilliantly designed game. So much has been written about No Man’s Sky, and very little of it was kind. All I can share is my own experience with the game. I spent about 20 hours exploring planets, harvesting resources, pursuing lost signals and contemplating the scope of this game’s universe. All the while, I was drawing parallels back to my own life, my own curiosities, my own ponderous thoughts about the nature of the universe I inhabit. For me, No Man’s Sky is a meditative, beautiful, occasionally tedious but thoroughly engrossing experience, and I can’t wait until the mood strikes me again to travel to a new system and see what I can unearth. It’s not the game everyone thought it would be, but it’s been a blissful and occasionally awe-inspiring experience for me — one that ranks among the most important I’ve had this year. I love visual novels as a medium, but one of my favorite series is Danganronpa. The bizarre cast of characters and delicate balance between dark humor and slow-creeping horror is irresistible to me. Anyway, here’s a spin-off episode that follows a couple of minor characters through a Resident Evil 4-style action-survival game. Is it crucial to the overarching plot? Nah. Is it particularly well-made? Not really. But it was good enough that I played start to finish and enjoyed what the game delivered. Ultra Despair Girls is firmly a B-tier game, and it’s aware of it. In spite of its reduced budget and insignificant place in the series canon, the game manages to be a consistent, fun, and even occasionally surprising experience throughout. 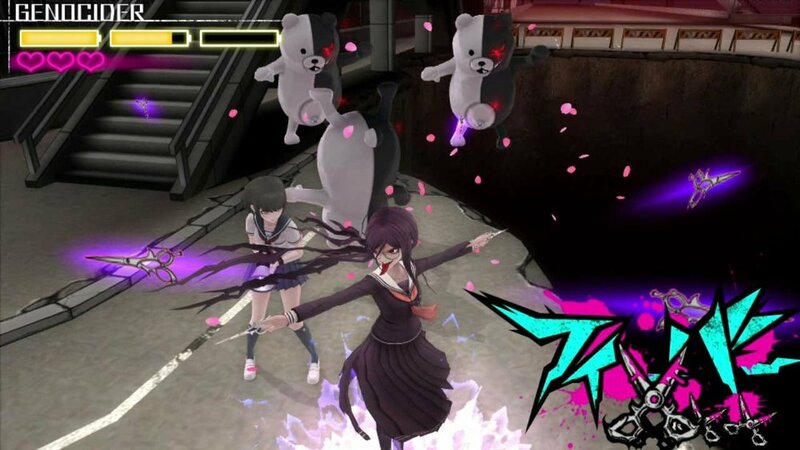 I wouldn’t recommend it to anybody but the most entrenched Danganronpa fans, but for anyone who loves that series’s distinct flavor, it’s alive and well here in third-person action form. Consider this your reminder to block off 10 hours this year to enjoy one of the most earnest, heartfelt and goofy games you’ll ever come across. Report back to me when you’re done (and I mean really, really done.) If you don’t love this game, I’ll bake you a snail pie. It’s like Tinder but for ruling a kingdom. You’re a monarch. You make decisions with sweeping consequences by swiping left or right. 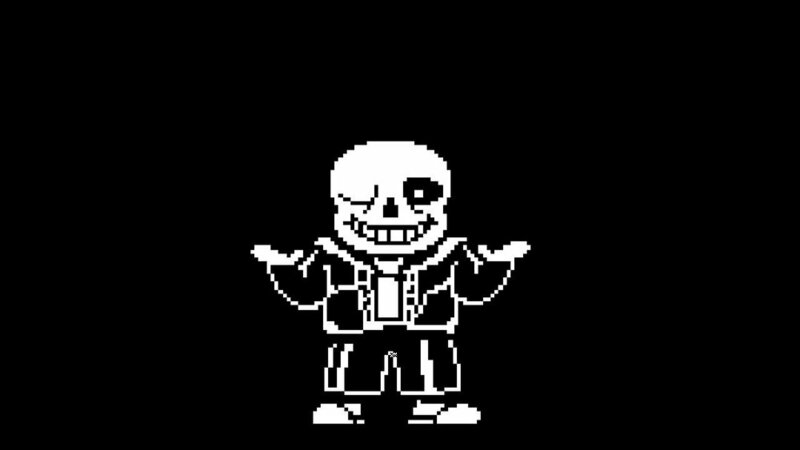 You’ll die a lot. There’s a dungeon you can explore. Also, your dog is the devil. If that doesn’t sound like it’s worth a couple bucks to you, I’m not sure what else to say. The multiplayer is frantic, blissful chaos, just as you’d expect from the first game’s pedigree. But the single-player campaign is damn near game-design perfection. The methodical way that new and surprising wrinkles are introduced like clockwork makes this campaign the only one I couldn’t put down this year. Doom is excellent in many ways, but Titanfall is brilliant in its restraint and refinement. It shouldn’t be missed.